Anyone looking at these pages may or may not have an idea of what meditation is all about, this is why the following text introduces the practice of meditation from a more balanced point of view without any obscure jargon and mystery. To begin with it is valuable to introduce meditation by firstly defining it, what the word actually means. This I believe offers valuable insight to the simplicity of what meditation actually is. The dictionary definition of the word meditation is ‘thought’, ‘absorption of though’ and ‘religious contemplation’. The word meditation is a noun that is based on the root word ‘med’ which means ‘to attend to’ and ‘tion’ means the ‘the condition of’. Thus meditation means to attend to the condition of, in other words it is the art of paying attention. So essentially we are looking at a process or practice of paying attention. The process is basically to assume a comfortable position allowing our mind and body to reach a state of natural stillness. It is not, however, enough to just relax, although this is very important, what we are really aiming for with meditation is to still the mind to achieve a state of mental clarity. And by clarity I mean developing the ability to completely clear your mind of stray or intruding thoughts. It is also important to recognise that meditation although practiced by many religions, is not solely a religious practice. Despite religious deference I have discovered that most, if not all, religions, define meditation the same way. 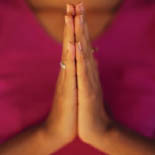 Christian’s meditation is to achieve oneness with God through the shedding thought. Within Jewish traditions they believe that the purpose of Judeo cultivation is to attain the state of emptiness. In Zen Buddhism the word “Zen” means be nothing, think nothing. In the Ancient Indian technique of Vipassana meditation, Vipassana means to see things as they really are. These are just a few examples but as you can see they all have the same tone to their objective of meditation. To achieve a state of mental and physical stillness we must as a simple question, why? What is the point, after all why meditation if we do not understand how it can help us? Perhaps we could consider the practice of meditation as a process of healing, mental healing? After all, the mind lies at the root of all the we experience, everything that is good and everything that is not so good. And because our mind can be filled with so much information from either the past or the present, which is in need of understanding we should really take the time to allow our mind the opportunity to sort through these thoughts. As life is a series of problems to be solved, ask yourself the question, do you allow yourself the time to truly think about the problem then apply the solution? If we look at modern life in western society we soon start to realise that life as we know it is lived at a very fast pace not only that, in our quest to be a part of that society we have become strangers to ourselves. We have all be paying too much attention to the world around us, that we know nothing of the world within us. The biggest culprits that clutter the mind are fears, stresses and anxieties, which are basically accumulated fears. When the mind is in a state of stress, we cannot think straight, our decision making process is erratic and our ability to understand is greatly reduced. So how can a simple meditation help? When we meditate we actively reduce the levels of these stress hormones cortisol and lactate, enabling the body to manage them better. Meditation also helps the body to naturally heal itself, improving the production of ‘T’ cells and our white blood cells, which protect us from disease. The simple practice of meditation has also been used extensively in scientific research to help sufferers of AIDS and HIV, asthma, improving airflow in the lungs, cancer, sufferers of high blood pressure and dependant drug users. Help chronic disease like allergies and arthritis. It can help with postoperative healing, and reduce the activity of emotional distress. The list of the physical benefits of meditation is never ending and these are just a few of the benefits to our physical health. We have looked at how meditation can benefit us mentally and well and physically but what about spiritually, after all meditation is associated mostly with some form of religious or spiritual practice. As I mentioned earlier, most, if not all spiritual and religious practices use meditation in some form or another and it is for the purpose of spiritual development or enlightenment. For those who wish to walk the spiritual path, spirituality is more than just a belief, it is a way of life, it is the long journey of self discovery and the road to cultivating inner peace and oneness with the universe. But we need to make room for our spiritual realization to blossom and so we need to clear the mind and prepare the way for insight and enlightenment. Thus meditation has been adopted as the necessary tool to bring calm to the mind.